← Print Advertising – Is It Dead? I’ve had many titles over the years. More experience than most. More education and training than a lot of business owners. But yet, I still have to learn every day, and I get overwhelmed. 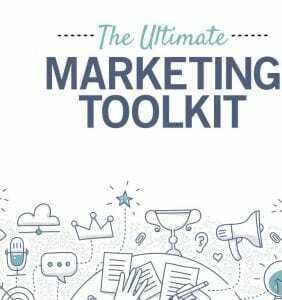 Just this morning I was reviewing a nice concise download called Ultimate Marketing Toolkit. As a marketing professional I thought it was a good resource. It then went in to 25 easy low cost marketing ideas. Do you have time for for reviewing all that? When you are involved every day running your business, monitoring, doing the hard work each and every day. Do you have time to go over marketing checklists and decide on which low cost marketing idea to implement. Let alone then actually DO SOME MARKETING!!! 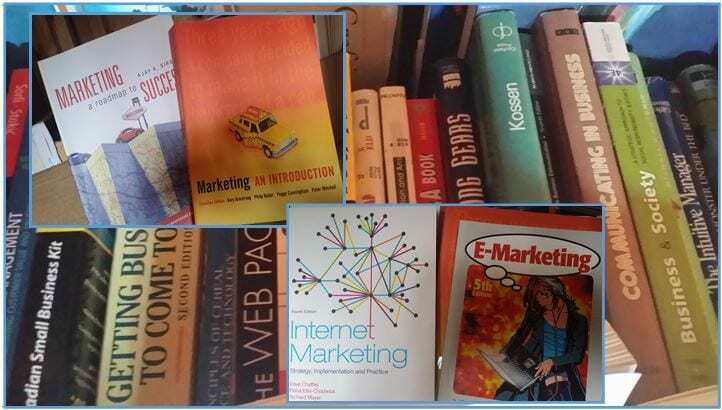 Take a look at the picture of various marketing textbooks. These are a some of the basic marketing textbooks I used when I was teaching marketing at college. There each are a few hundred pages in each of theories and ideas. And none of these books will tell you which strategy to use for your business, or how to implement that strategy. Would you not like to have Marketing with Ease……. Let’s take the stress away. Allow me to assist you with your marketing. Worry Free, I will be there to guide you. This entry was posted in Business Basics, J's Ramblings, Marketing Basics. Bookmark the permalink.